We all know that there is nothing like a good night's sleep. What if we could give our pets that same feeling? Our pets are honest and trusting creatures who depend on us humans to keep them safe and comfortable. West Paw Designs is helping us to do just that by creating a luxury line of dog beds that are safe, fun, and durable. The Heyday Bed is West Paws most durable dog bed; ready for tossing, pouncing and even being dragged across the floor by your furry best friend. The bed is an American made, hand sewn, pillow dog bed. The double stuffed insides are made from West Paw Design’s proprietary, environmentally friendly, re-engineered PETE (polyethylene terephthalate) polymer material, IntelliLoft®. Otherwise known as recycled plastic bottles, IntelliLoft® recycled material uses up to 8x less energy than it takes to manufacture the same material new and keeps plastic bottles out of landfills. All of West Paw Design's products are made in Bozeman, Montana. West Paw even designs fabrics themselves to match their own high quality standards. The Heyday Bed is their most durable dog bed. The bed is an American made, hand sewn, pillow dog bed. Each bed is heavy duty and stain resistant. They are easy to clean and machine washable, making them the perfect treat for man’s best friend. We all know that there is nothing like a good night's sleep. What if we could give our pets that same feeling? Our pets are honest and trusting creatures who depend on us humans to keep them safe and comfortable. West Paw Designs is helping us to do just that by creating a luxury line of dog beds that are safe, fun, and durable. 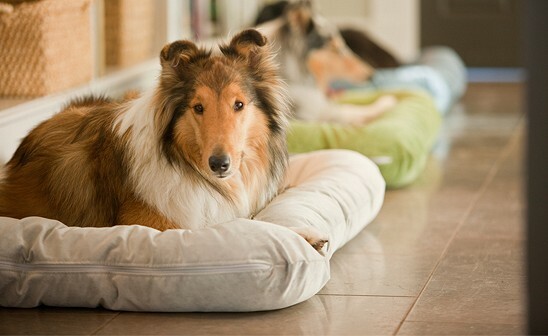 The Heyday Bed is West Paws most durable dog bed; ready for tossing, pouncing and even being dragged across the floor by your furry best friend. The bed is an American made, hand sewn, pillow dog bed. The double stuffed insides are made from West Paw Design’s proprietary, environmentally friendly, re-engineered PETE (polyethylene terephthalate) polymer material, IntelliLoft®. Otherwise known as recycled plastic bottles, IntelliLoft® recycled material uses up to 8x less energy than it takes to manufacture the same material new and keeps plastic bottles out of landfills. 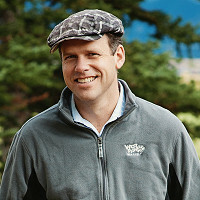 All of West Paw Design's products are made in Bozeman, Montana. West Paw even designs fabrics themselves to match their own high quality standards. The Heyday Bed is their most durable dog bed. The bed is an American made, hand sewn, pillow dog bed.